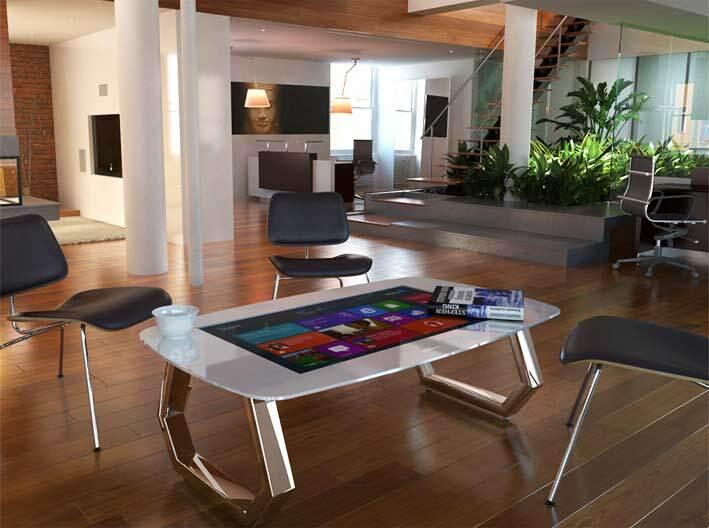 The interactive touch table people have been waiting for – a true testament to design and usability. 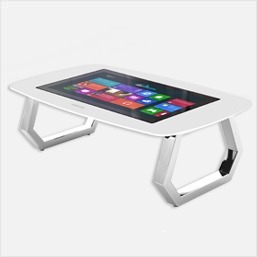 Featuring the same capacitive multi-touch technology as your tablets and smart phones, The Mozayo interactive multi-touch table offers high fidelity and accurate touch points. Bring your next project to life with the Mozayo. The Mozayo is a centerpiece for digtial engagement and rich storytelling. 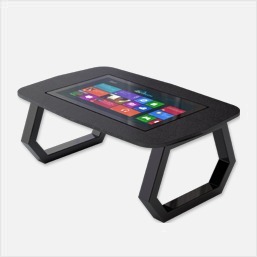 A zero-bezel continuous glass surface with a progressive leg design makes this touch table like no other. We went beyond what is possible and arrived at what is expected. 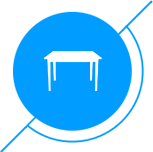 Rental options for the Mozayo Interactive Multi-touch Table are now available so you can showcase your services and products in an extremely engaging fashion. Capture the attention of your guests at your next exhibition or innovative space. P-Cap 40pt Touch offering accurate touch points. 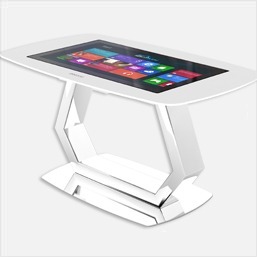 Advanced design and industry leading specifications. A screen design repels water and minimizes glare from overhead lighting. Reinforced and strengthened glass capable of handling heavy use. 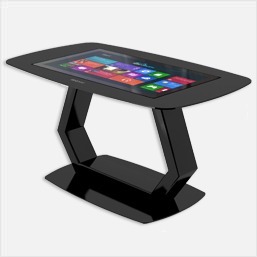 All-in-one solution, integrating PC and multi-touch software. Extremely guest friendly and inviting. Simple as plug and play. Rental solutions for both Mozayo Hero Coffee Table and Mozayo Legend Presenter Table. or anywhere your brand wants to reach its audience. 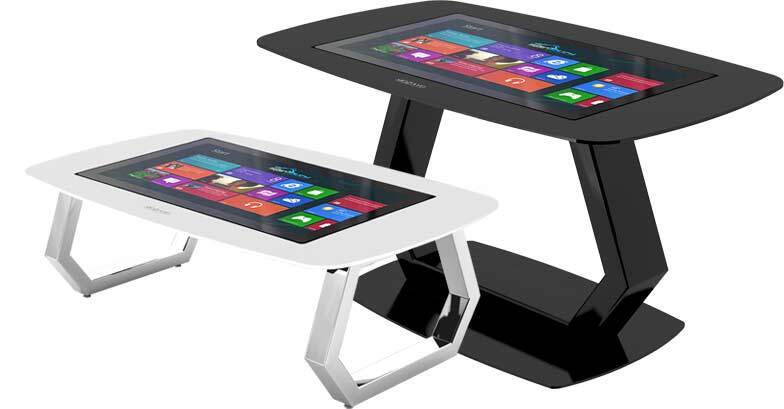 With Intel Widi you can share your Mozayo content wirelessly to another monitor. Identify users and provide relevant content by gathering information on nearby smart phone devices. Leverage integrated RFID technology so your Mozayo can identify users and provide relevant content and messaging. Need performance graphics, advanced processing, or more memory? We can spec in a PC specific to your needs. The Mozayo is perfect for any occasion and sure to impress and leave a lasting impression on your guests, brand, and experience. The Mozayo truly is a turn-key interactive solution by beginning to interact with these partner version applications right out of the box. Create a powerful and compelling interactive presentation in minutes by uploading your HD videos, pictures, and text with myShowcase or engage your audience with dreamTouch’s fully customizable, high-fidelity animations and effects.